When you think of a cabin rental, you may instantly think of a one bedroom cabin that has just enough space to house you, the kids, and maybe the dog. However, at Large Cabin Rentals, we proudly offer some of the largest cabin rentals in Pigeon Forge and the Smoky Mountains. Our cabins range in size from 8 to 16 bedrooms, and they can comfortably sleep up to 72 guests under the same roof. This means that whether you are traveling with just your immediate family or you have invited your entire family tree, there will be more than enough space for you and your loved ones to stretch out and enjoy a relaxing Smoky Mountain Christmas vacation. To help you and your family see just how much money you can save by staying in a cabin for Christmas, be sure to check out our Smoky Mountain vacation calculator on our website. 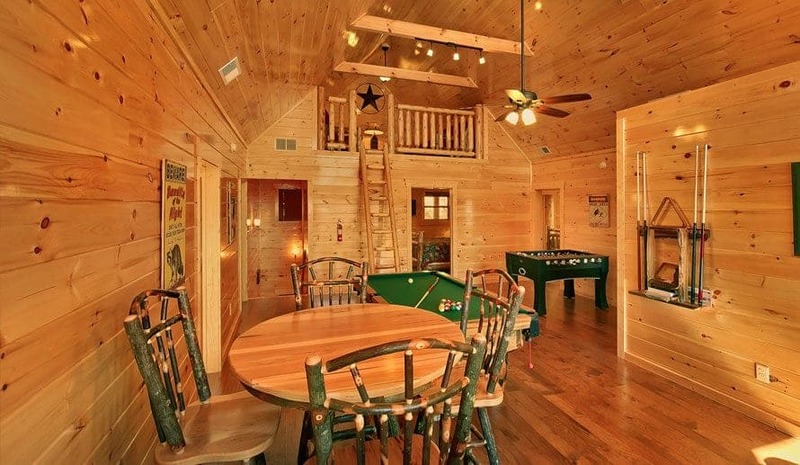 This handy tool will let you easily compare how much money renting one of our large Pigeon Forge cabin rentals will save you when compared to a hotel. For parents traveling with small children, the fear of Santa Claus not being able to find them on Christmas Eve may be a real concern. But, as we all know, Santa is clever, and he will have no trouble finding all the nice children on his list this year, no matter where they are. One of the most visually-stunning winter attraction in the Smoky Mountains, Shadrack’s Christmas Wonderland is where guests can go to take a musical auto tour through thousands of holiday lights that are synched to music they can listen to in their car. After you have finished driving through the lights, guests are invited to explore Santa’s Village where they can find none other than Jolly Ol’ St. Nick himself. Considered one of the best holiday festivals in America, the Christmas festival at Dollywood is a special time of year where the popular Pigeon Forge amusement park is transformed into a magical winter wonderland. In addition to the several Christmas-themed shows and shops, guests are invited to spend some time with a few popular seasonal characters including Rudolph the Red-Nosed Reindeer and Santa Claus. Perfect for guests planning a SMoky Mountain Christmas vacation a couple weeks early, the Smoky Mountain Fantasy of Lights Christmas Parade is perfect to get you and your family into the holiday spirit. Celebrating 39 exciting years, this parade will have over 100 entrants, including marching bands from all across the Southeast region. Not to mention, Mr. and Mrs. Claus will be the grand marshals of the parade. It’s hard to get into the Christmas spirit without being surrounded by all of your favorite holiday decorations, including a Christmas tree. That being said, many families think by choosing to take a Christmas vacation in the Smoky Mountains they will have to give up their beloved decorations. That is not true. At Large Cabin Rentals, several of our Pigeon Forge and Gatlinburg cabins are decorated for the holidays. This way, you and your family will feel as if you are in a home away from home, and you will have a tree to store your presents until Christmas morning. To learn which of our large Pigeon Forge and Gatlinburg cabins will be decorated for the holidays this year, feel free to give us a call at the number above! A common myth among families who are considering taking a Smoky Mountain Christmas vacation is that they will have to give up their annual tradition of a delicious home-cooked holiday meal. Though there are several local restaurants in Pigeon Forge and Gatlinburg that will be open on Christmas to feed your family, you do not have to plan to eat out. Each of the spacious cabins offered by Large Cabin Rentals come equipped with a fully-stocked kitchen that is perfect for preparing your family’s favorite recipes. There is even a basic set of glassware, silverware, pots, pans and utensils. The only thing we suggest is that if there is a particular serving dish or small appliance you need to complete your favorite dish, you may want to consider bringing it from home. Other than that, you and your family will have everything you need to cook a delicious Christmas dinner in the Smoky Mountains. It’s no secret that there is a ton of great shops in Pigeon Forge and Gatlinburg for Christmas shopping. Not to mention, it saves a lot of fuss to do most of your shopping when you arrive at your destination, opposed to having to pack up all the gifts before you leave home. At first, you may be worried that you won’t be able to find a place to hide all your newly-purchased gifts inside your holiday cabin rental, but that will not be the case. Included with each of spacious bedrooms inside each of Large Cabin Rentals’ cabins, guests will find a proportionally-sized closet, as well as several storage closets located throughout the cabin. Your presents will be well-hidden away until it’s time to wrap them and put them under the tree. 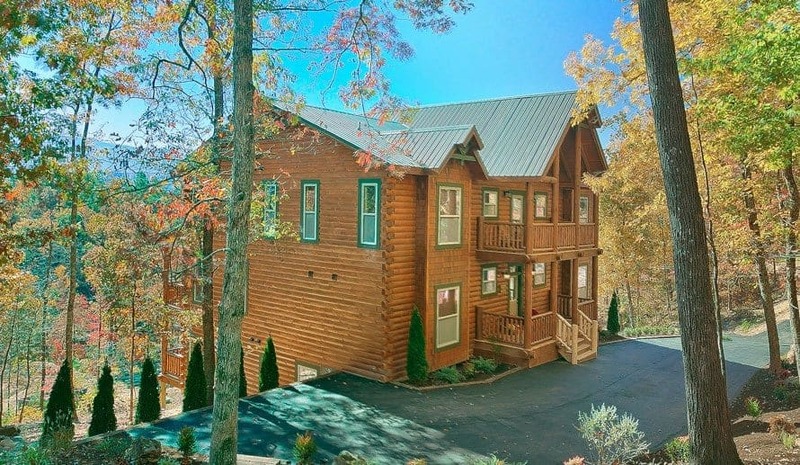 Book Your Smoky Mountain Christmas Vacation Now! Now that we have disproved all of the common myths surrounding taking a Smoky Mountain Christmas vacation, it is time for you and your family to begin planning your holiday escape today. To start, feel free to give us a call or browse through our online Smoky Mountain cabin directory. We suggest getting a start early because our rentals can fill up fast.